Listed below are a some letters we have received. If you have comments you would like to share please feel free to let us know! Click here to send us an email and please, attach a picture! Go, PerfectByte! What a breeze it has been to use your software. You have created a program that is so adaptable and user friendly. 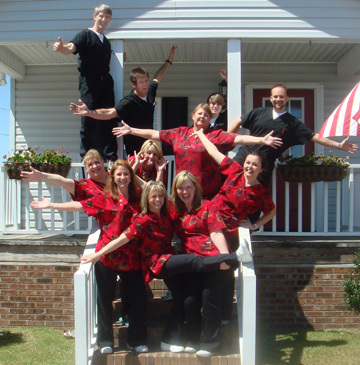 We use absolutely every aspect of the program from scheduling to the employee time clock! And your tech support team absolutely rocks - they are there whenever we need them! You have managed to meet all of our needs as we grow as a practice. Thank you so much for all that you do! Dr. Griffies is a graduate of the University of Notre Dame and Baylor College of Dentistry. 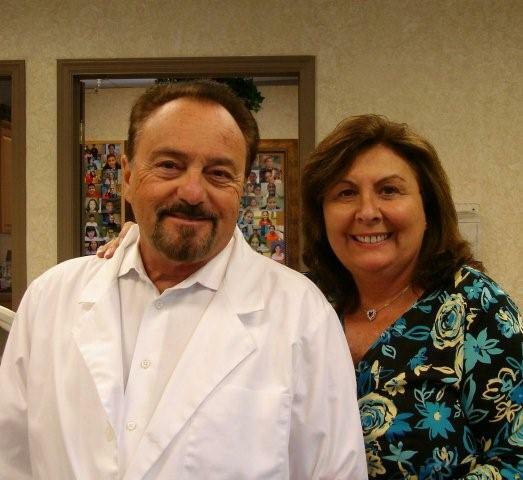 He received his certificate in orthodontics from the U.S. Army Orthodontic Training Program at Fort Meade and practiced dentistry and orthodontics in the Army for over 22 years. Dr. Griffies is a member of the College of diplomats of the American Board of Orthodontics. We can hardly believe it is one year since we launched PerfectByte as our office management software program.... In retrospect, we cannot imagine being without PerfectByte or more importantly, without your support! Your support is the lifeline of this office! Your patience, unyielding giving and tremendous knowledge of transferring the information into laymen's language was an undertaking so huge, that we will be forever grateful to you. Because of your support and guidance, we are at the cutting edge of technology and we are excited to be partnered with PerfectByte! We are proud of the professionalism it brings to our office and the patients are impressed with the efficiency and ease. We have brought our office to a higher level! We are operating full throttle! PerfectByte is the core of our daily office operation! We are utilizing every aspect of the program; from the scheduler to patient payment plans, billing contractual agreements and every letter imaginable stored in general settings. The electronic billing is by far the most profitable aspect of the program... the turnaround payments are within a week of submission and the mailbox is always full of insurance checks!!! Our goal is to blow the lid off this office and skyrocket our profits to infinity! The investment has far surpassed our expectations! Our office uses PerfectByte Ortho Network Edition as our practice management software and let me state unequivocally that this software has the best technical support of any ortho/dental software I have ever used. Make that ANY software that I have used. I have received excellent technical support and my calls are almost always answered immediately or a technical support person returns my calls quickly. The support staff is courteous and will do whatever it takes to solve the issue you are calling about. The program integrates seamlessly with our imaging program (Dolphin) and inserts a picture of the patient in a screen each time you pull a patient up to enter data or view payment progress. This really helps our staff put a face with a name and personalizes the data. Our favorite part of the program is the walkout receipt that shows instantly where a patient is with their payments and what the progress is with the insurance payments. We use coupon books for payments and PerfectByte has an excellent module if you wish to use this type of payment. The letter module for contracts and welcome letters etc. is exceptional. There are numerous features of the software that our staff loves but I love the technical support aspect of the software. As I stated, I have never had a problem reaching technical support and their expertise has been outstanding. We were so apprehensive to switch to a computer, but we found PerfectByte an unbelievably easy transition. I previewed the "biggies" like Dentrix and EagleSoft but found the Perfectbyte software easy to navigate and provided us with everything we needed to run our office. With a reasonable price tag and a user friendly format, it was an easy decision. Also the support is top notch. The staff is patient, knowledgeable and accessible. We highly recommend this software. How do you say "thank you" to individuals who are highly skilled and provide trusted personal service. You truly care about your customers. Your product is everything that we expected it to be. We appreciate all you have done to help advance our practice. Thank You. Reliable software, easy to learn, affordableprices, convenient options. Completely satisfied!!! Highly recommend PerfectByte. Service fits and serves our needs very well. We are pleased. We absolutely love the PerfectByte Program. GREAT Product and even GREATER support. Thank you. I am very happy with both the customer service and the software. It is the easiest software for the staff members to learn to use. Easy to use software, great technical support. I will definitely use PerfectByte again when building my second office. PerfectByte has been a great Orthodontic Management Software for our office that we have found. They are open minded about changes to the software to help our office run more smoothly. We highly recommend them for new and established orthodontic practices for their management software. In a busy ortho practice, support is critical. PerfectByte is a joy to work with and they are always available for timely responses. One of the best products on the market for the most economical price.